It is that time of year again. Time to send the troops back-to-school. Let’s face it, we enjoy our summer so it can be very difficult for everyone to get back into the routine of getting ready for school each day. Even us moms get frazzled in the morning getting everyone ready. Sure we know the best way to make sure our kids are ready for a great day of learning is a healthy and wholesome breakfast. But sometimes we barely have time for toast. But now all you need is a microwave to heat up these Pre-made breakfasts that will keep everyone happy, healthy and ready to go! We have scoured the Internet and found a few great recipes. They are pretty easy to put together on a day off with the help of your kids. Then just zip-lock bag, wrap, and freeze them. When it is breakfast time on that first day of school pull them out and pop them in the microwave. Voila! A great breakfast with time to spare! Sausage Pancake Bites: The World According to Eggface. This great blog has some inspiring ideas on keeping food simple and wholesome. 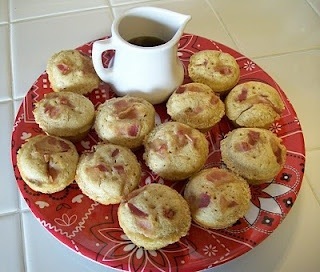 This recipe for Pancake Bites is great because you can add almost anything to them, sausage, bacon, berries, nuts, or chocolate chips. Simply bake and store for later! 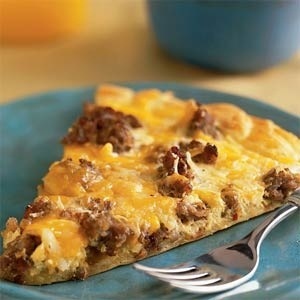 Breakfast pizza: Myrecipes.com has an excellent breakfast pizza that is light and delicious. Kids will love that it is hearty and tasty, who doesn’t love pizza anyway? Just heat it up and sit down for a delicious treat. 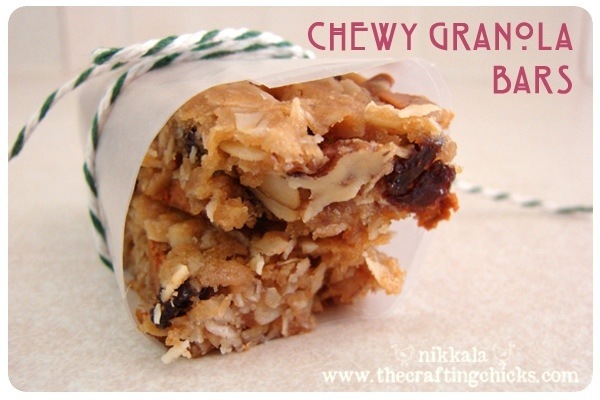 Chewy Granola Bars: The Crafting Chicks is another great blog with excellent recipes. These granola bars are healthy. Super quick to eat on those mornings when nothing is going right. They are super easy to grab on the go and eat in the car. Now you and your kids don’t need to skip breakfast or hit that drive thru when the alarm doesn’t go off in the morning. With all these great ideas and recipes we are sure your family will get that first important meal of the day! This entry was posted in Food & Recipes, Health and tagged Back-to-school, Breakfast, morning, myrecipes.com, parents, recipes, the boys store, the crafting chicks, the world according to egg face on August 26, 2012 by Lacy.